The 1987 American Silver Eagle (ASE) was the second year of issue. The United States Mint produced 12,347,067 pieces, making it one of the less available dates in the American Silver Eagle series. 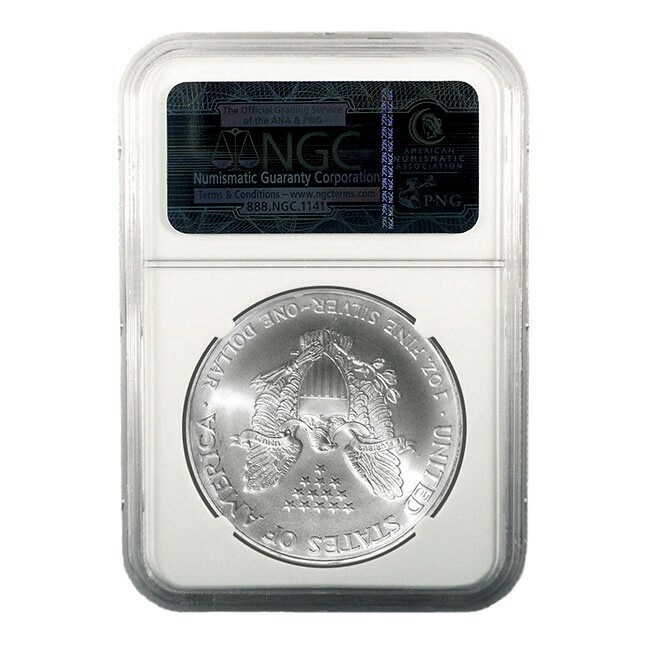 Of those, only a small percentage have been graded MS69 (Mint State 69) by NGC (Numismatic Guaranty Corporation). In order for a coin to qualify as MS69, it must be virtually perfect with immaculate surfaces, outstanding original luster, superb eye appeal, and a perfect strike. For many collectors, coins graded MS69 represent outstanding value as they look virtually identical to an MS70 without the added cost. If you have any further questions about this 1987 ASE NGC MS 69, please feel free to contact us via email at support@pennmetals.com, by phone at 855-832-7366 or via live chat. 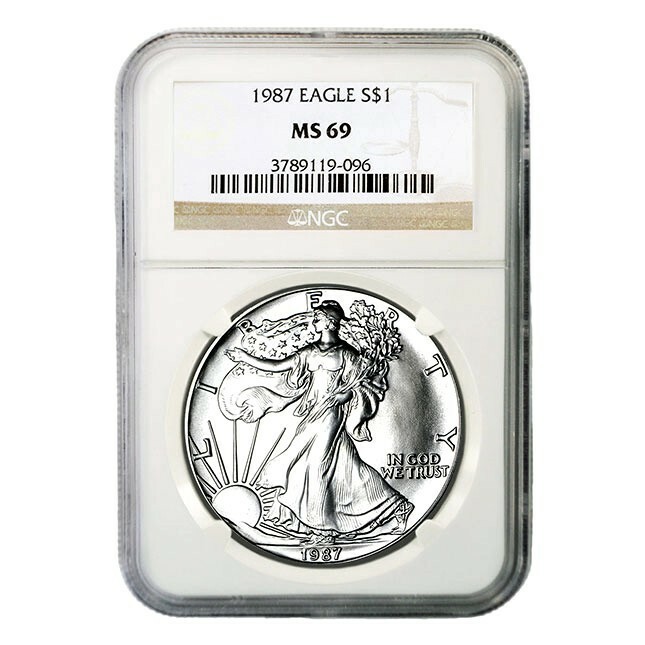 You might also want to check other dates we have available for sale like the 1986 American Silver Eagle NGC MS 69 or the 1988 American Silver Eagle NGC MS 69.